This quilt has spent more time with me, while going through a greater range of temperatures, than any other sleeping quilt I've used. Here are my thoughts on this A+ product. Background: This is a fully zippered but hoodless sleeping bag, I often call it a quilt but it really doesn't matter. What matters is that Zpacks makes all their gear to be the lightest and most durable that they can. Since the owner is actually a Triple Crown (Appalachian, Pacific Crest, Continental Divide Trails) long distance hiker himself, he knows very well what it takes to have a high quality bag that lasts. Made in the USA, Joe Zalesko and his team make very nice gear and are very good with their customer service. Caution: Zpacks gear tends to be on the truly ultralight side of gear. While very tough and durable for the weight, they can like most very lightweight gear, be destroyed if abused and used thoughtlessly. Cuben gear also needs to be used properly to last, and proper practice and care should be used in using all of Zpacks gear offerings. When I first decided to hike the PCT in 2013, I began my research and gear selection around late 2012. From all of the nights I'd slept in bags over the previous few years, I had already narrowed down what I was looking for in a bag. I knew that my relatively late start (May 19th) from the Mexican border would likely spare me from very cold temperatures. I also knew that I tended to be a slightly warmer sleeper than most. For all temperatures above 25* I disliked having a mummy hood on my sleeping bags, and preferred to sleep with the bags zipped mostly open if I could. Being a light and restless sleeper at times, I enjoyed using sleeping bags that trended on the "wide" size, even though my lanky frame didn't require the extra width. I also dislike narrow foot-boxes, and as I have size 13 wide feet - sometimes they just need their own space. Best Feature: Extremely lightweight at only 18.5 oz. for a 30* WIDE WIDTH / EXTRA LONG Quilt (900 Fill Down, and 3/4 length zipper with NO draft collar - as zipper is meant to be UNDER you while you sleep to prevent and loss of warmth throughout the zipper). Temperature range: I used this bag either with just running shorts, or a Western Mountaineering Whisper liner while taking this bag down to about 35*. 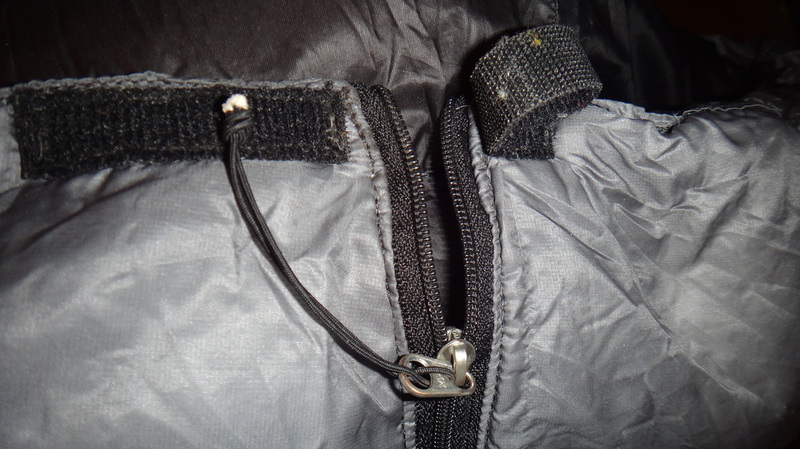 I used a hooded down jacket and wind pants, along with the liner, and took it down to 28*. With a full set of mid-weight base-layers and sleep socks, fleece hat, and the liner, I took it down to 22* for two nights in a row. My feeling is that this bag is true to within 5* of its stated temperature based on my experiences and camping style. Your warmth may vary, but I feel that this bag, when paired with any needed sleep clothing, is a perfect choice for temperatures down to freezing (32F*). By adding some warmer sleeping layers 25F* is achievable. I found that in humid conditions over the period of a few days (more common on the East coast then the West), this bag lost noticeable loft in the down, and subsequently became colder. Taking advantage of any sunny days to help dry the bag, and care when sleeping to not sweat into the bag, did help limit the extent of this issue. However, I'm still unsure about the benefit of this bag while camping in sustained humid and wet environments, due to the susceptibility of down to lose its insulation value when wet. I did use this bag for about 2 weeks of winter camping, and did not notice any problems. Humidity is the devil. SUMMARY: I loved this bag and enjoyed the small pack size, light weight, ease of use, and quality of craftsmanship. I found the sewing to be very good - but not as good as the Western Mountaineering bags that I have owned. However, the overall savings in weight, the ability to support a US company, the overall durability and the material quality make this a top choice for any backpacker. I liked the roominess of the wide width quilt, and while I did have to cinch the neck closed on cold nights, it was a trade-off that I was happy to make. My feet had plenty of room to move around, and I didn't notice the zipper when I was sleeping on top of it - it's that small! Would I buy it again - I certainly would.